Dubai is Located in the United Arab Emirates (UAE), the city of Dubai is a stunning blend of nature and technology and situated on the Arabian Gulf. Dubai is one of the popular and most visited tourist’s destinations. Travelling in Dubai is not fearsome as there is 24/7 help available to the entire new visitor. There are also many rules made by Dubai Government which facilitates travelling in this beautiful place. 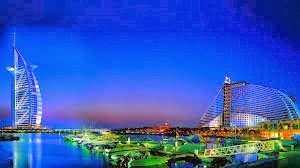 As Dubai are a place that has huge buildings, hotels, beaches, excellent road and other great infrastructure. Traveling to Dubai is not difficult, nor is it dangerous especially if you take the time to plan for a safe trip. Always, keep this thing in mind that the language of Dubai is Arabic and the valid currency is Dirham. Always keep some Dirham in your pocket while travelling. If you know little bit Arabic then it is very good. It helpful in interacting with the locals of this nation. Always exchange your currency to the UAE Dirham in bank, at a hotel, or at a mall ATM. Never, ever have your money exchanged for the local currency on the street. Exchanging money on the street may bring you up to a dangerous situation and you may not get the right amount in return. Keep cash with yourself all the time while travelling, so that you can spend it in case you don’t find any ATM machine or bank. You need to have visa on your hand while visiting Dubai. Travelers from some countries are allowed to enter the United Arab Emirates by purchasing a tourist visa upon arrival. Check with your country’s embassy before you embark on an international journey to ensure you have the right documents in hand. You are prohibited to drive in Dubai without a valid International driving license. Also there are plenty of public transportation options available in Dubai. Some foreign licenses are also accepted but only of those citizens that are either citizens or residents of country issuing license. You must know the culture of Dubai for safe travel in Dubai. As Dubai is an Islamic country and it has Islamic culture and laws, so all the comers must respect their laws and culture. Clothing should be modest in order to respect local customs because of the Dubai is in Muslim country (United Arab Emirates). Men and women are free to wear anything and women and also women can wear bikinis on beach side, but wearing bikinis on hotel beaches is strictly prohibited. In Dubai, Taxi can be rented very easily and their fares are also very cheap. Avoid taking alcohol in public place as in Dubai public drunkenness is strictly prohibited, as is drinking and driving. As a tourist, you will not be able to purchase alcohol in a local liquor store as Dubai residents must have an alcohol license. You can purchase drinks in restaurants and bars, but be careful.